Warning iPhone X will not open after you’re plastic surgery bandaids come off and the swelling goes down. Jennifer Lawrence attests to the destructive power brought on by those who worship “Mother Nature”. In a recent British interview, Jennifer speaks of “Mother Nature’s” wrath. Mother nature or the worship of the elements is a common pagan practice. In fact that is what they worship or evoke. 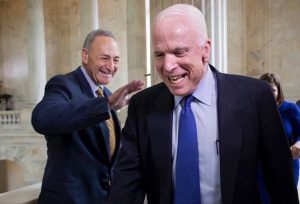 In an attempt to “Bind” President Donald Trump, from accomplishing his agenda to: Fix the economy, Rebuild Airports, Dams, Highways and other infrastructure, all of which take money, “THE WITCHES” have evoked some of the most powerful hurricanes to date costing the Global Economy hundreds of billions of dollars, effectively blocking any good, President Trump was trying to do. Destruction and it’s worshipers are blinded to the fact that they did not bring good to America, but rather hurt millions upon millions of innocent people. “THE WITCHES”, have brought this destruction not wether you believe in global warming Jennifer. NOTE: a Muggle is a person who lacks any sort of magical ability and was not born in a magical family. Muggles can also be described as people who do not have any magical blood inside them. Wealthy people are not usually hurt by this destruction, instead the poor, needy, immigrant are usually hurt the most, including if the economy falters. Is witchcraft really something Jennifer should be promoting? Jennifer says “Mother Nature” did this because Trump doesn’t believe men created global warming. So suddenly mother nature or the goddess responds in her wrath? More accurately, the hate of humans and witches against President Trump, who evoke the same deities to create these hurricanes are directly to be credited for these storms and also prosecuted for the destruction and financial toll they created. And for the record, one idiot witch please explain how this did ANYONE ANY GOOD? The homosexual agenda’s you promote do not take money to block. This administrations leaders in key places still make policies. The only thing the witches did was put American further in debt and hurt untold millions of people. For no good reason. So who is the real devil here that all of society should hold accountable? Those that practice these dark arts. Eric Bolling’s son Eric Chase died on Friday night, just hours after his father lost a high-profile job at the Fox News Channel.The cause of death has not been announced. According to a family friend, an autopsy will not take place until Monday.Eric Chase Bolling was starting his second year at the University of Colorado in Boulder. It is unclear if he died on or off campus. Local authorities did not immediately respond to requests for comment from CNN.His parents learned of the death late Friday night and flew to Colorado on Saturday morning.Eric Bolling confirmed the heart-wrenching news in a tweet.”Adrienne and I are devastated by the loss of our beloved son Eric Chase last night. Details still unclear,” Bolling wrote. “Thoughts, prayers appreciated.”In a second tweet, Bolling said that an autopsy would be conducted next week. “Authorities have informed us there is no sign of self harm at this point. … Please respect our grieving period,” he wrote.The family friend said the Bollings are in a profound state of shock. Eric was their only child.Eric Bolling sometimes talked lovingly about his son on Fox News. Bolling, a former trader, joined Fox Business Network in 2007 and later jumped to Fox News, where he became one of the channel’s best-known conservative hosts. In his appearances on the 5 p.m. talk show “The Five,” he cheered on Donald Trump’s campaign for president. He also wrote a pro-Trump book called “The Swamp.”Trump’s sons Donald Trump Jr. and Eric Trump expressed their condolences in separate messages on Twitter. “I am so sorry for your loss. I know how devoted you were to your son. I cannot fathom how difficult this must be,” Donald Trump Jr. tweeted.When “The Five” was moved to 9 p.m. last spring, Bolling stayed on at 5 p.m. as the leader of a new show called “The Specialists.”He signed a multi-year contract in June. He parted ways with Fox News in August after an investigation into allegations, first reported by HuffPost, that Bolling had sent female colleagues an “unsolicited” lewd photo.Bolling moved to sue the HuffPost reporter and vowed to fight the claims, which he called “false smear attacks.””I look forward to clearing my name” as soon as possible, he said.Fox announced his departure around 4:30 p.m. on Friday. 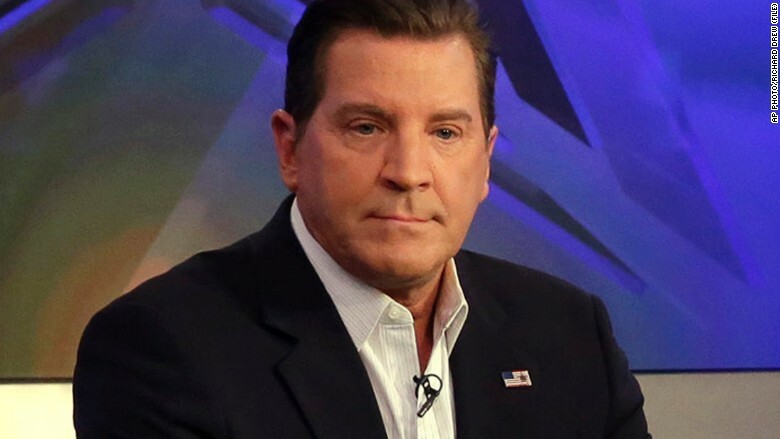 Fox said it happened “amicably.” “The Specialists” was canceled.Sources at Fox said staffers were shaken up about the sudden death.”We are very saddened to hear of the passing of Eric Bolling’s son,” the network said in a statement. “Eric Chase was a wonderful young man and our thoughts and prayers are with the entire Bolling family.”Bolling’s former colleagues and other journalists also expressed condolences.”So awful. My heart goes out to Eric and his family,” CNN’s Don Lemon tweeted.”Overwhelmed by the news of Eric Bolling’s son,” Fox contributor Katie Pavlich tweeted. “How absolutely horrific and devastating.”– Updated: This article has been updated to clarify Bolling’s status at the University of Colorado in Boulder. The Rasmussen Reports daily Presidential Tracking Poll for Thursday shows that 45% of Likely U.S. Voters approve of President Trump’s job performance. Fifty-four percent (54%) disapprove.The latest figures include 30% who Strongly Approve of the way Trump is performing and 45% who Strongly Disapprove. This gives him a Presidential Approval Index rating of -15. (see trends).Regular updates are posted Monday through Friday at 9:30 a.m. Eastern (sign up for free daily email update).The Trump Administration on Tuesday announced an end to DACA, the so-called “Dreamers” program, and gave Congress until March to provide a legislative solution to the problem of undocumented adults who arrived in the United States illegally as children.Critics claim illegal immigrants take jobs away from Americans, but voters tend to favor the continuation of the Obama-era program that protects from deportation illegal immigrants who came here as children.The House approved $7.9 billion in Hurricane Harvey disaster relief funds yesterday. More voters than ever now agree the clean-up and recovery efforts in situations like these should be the federal government’s responsibility.Americans uniting as one, as they’ve done in Texas to battle Harvey, represents the true spirit of America, “a spirit of love, determination and resolve,” President Trump has said. That American spirit is the subject of this week’s Rasmussen Minute as yet another, potentially catastrophic hurricane tracks toward Florida. President Ronald Reagan said in his first inaugural address in 1981 that “government is not the solution to our problem; government is the problem.” Voters still agree and hope Congress and the president don’t blunt the cutting knife.President Trump this week also expressed his desire to shrink the corporate tax rate in order to boost job growth and help middle-class Americans. We will tell you at 10:30 a.m. Eastern whether voters believe that lowering the U.S. corporate tax rate will help or hurt the economy. 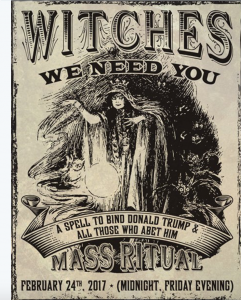 TENS of thousands of witches around the world join forces every month to cast a “binding” spell on Donald Trump, Hollywood witch Vicky Adams has revealed. 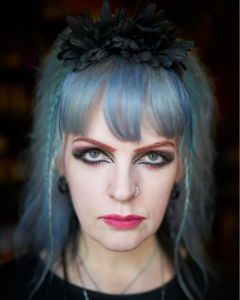 Vicky, who runs a renowned occult store in tinseltown, says the spell aims to stop the US President from reaping “harm and destruction” across the globe. “There are probably tens of thousands of witches who take part – it’s hard to know exactly – but certainly a great amount of witches are coming together every month to do this spell.“It’s not unheard of for witches to do things like this – in fact it’s been done before decades back. 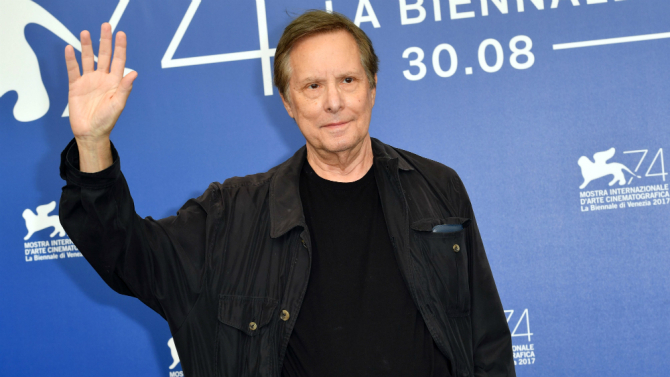 When William Friedkin shot “The Exorcist” in 1973, he had never seen an exorcism, though even at the time he believed in the power of this rite. Decades later, the U.S. director came full circle when he was able to film one close up — involving violent thrashing, foaming at the mouth and screaming — thanks to Father Gabriele Amorth, who performed exorcisms for the Vatican’s Rome Diocese. The result is documentary “The Devil and Father Amorth,” which screened at the Venice Film Festival. Friedkin spoke to Variety about the experience.How did you and Father Amorth connect?I was familiar with his books, four or five of which are translated into English. And I knew that he was kindly disposed towards “The Exorcist” movie, even though he had said the special effects were over the top. He felt that it helped people to understand his work. I had never tried to meet him; I never thought I could. But I was in Lucca [Italy] a year or so ago…and someone casually mentioned that Lucca was about a half-hour drive to Pisa…where there was an airport where I could catch a one-hour flight to Rome. Something clicked, and through a friend I was able to write Father Amorth. Two days later he wrote me back, and said he would meet me.RELATEDVenice Film Review: Kirsten Dunst in ‘Woodshock’So it was your idea?Yes. This idea just popped onto my head. I call it providential. I had an inner voice that said to me, “I wonder if I could meet Father Amorth?”It’s a known fact that Amorth was a fan of “The Exorcist.” It’s really so wonderful that in that film you had been able to capture something that resonated for him, even without doing that much research into the specifics of what he did.There is no research; the only research is his books. In the United States in the 20th century, there were two reported cases of possession, as far as Mr. Blatty [who wrote the novel “The Exorcist”] and I could tell. There were only two cases that had any substantial writing about them in the United States….The church doesn’t say a lot about this. They don’t try to publicize it at all. They are not promoting it. I doubt that they will even have a position about my film [this latest one]. They never comment about these things. I doubt that they would have given me permission to do what I did. He gave me permission, and he operated quite independently from church procedure and was openly critical of the Vatican.The amazing thing is that you were able to get access to a real exorcism so easily.I was shocked. I had no idea that I would ever be able to even meet with him. I did know how busy he was. He was doing exorcisms all day every day right up until he went into the hospital and then died [in September 2016].RELATEDVenice Film Review: George Clooney’s ‘Suburbicon’Why do you think you got the access?I think I came along at a time when he wanted people to become aware of this work because he wanted the Vatican to train more exorcists. He believed that I had enough cachet to take his story…that I would be able to bring it to the public by way of a film.Tell me about the shoot. I had to shoot it alone, obviously. The conditions were that I come along with no crew and no lights. So I used a Sony still camera that shot high-definition video. I had only that camera running and I was about two feet away from them, probably even closer.What was the experience of witnessing a real exorcism so close up like?It was terrifying. I went from being afraid of what could happen to feeling a great deal of empathy with this woman’s pain and suffering, which is obvious in the film.As I understand it, Amorth had been doing exorcisms on her for some time.The one that I filmed was her ninth, and she was having one a month.You have subsequently consulted with scientists in the U.S. about what you witnessed and filmed. What did they say?I consulted with neurologists, brain surgeons, some of the best in the United States. The brain surgeons had no idea what her affliction was and none of them would recommend an operation. They believe that everything originates in the brain but — and they say this in the film — they have never seen anything quite like these symptoms….Then the psychiatrists…all described how psychiatry now recognizes demonic possession. It’s called dissociative identity disorder/demonic possession. And if a patient comes in and says they are possessed by a demon or a devil, they don’t tell them that they are not….They do whatever psychiatric treatment they think is necessary, including medication. And they bring an exorcist in.